Twenty-nine years after an Air Malawi plane was shot down, claiming all 10 lives on board, some victims’ families have questioned the deafening silence over circumstances behind the tragedy as they still fail to come to terms with it. The families feel government has failed the nation, a development that has led to a generation of conspiracy theories. Of f i c i a l r epor ts gathered both from local and international media indicate that on November 6 1987, an Air Malawi Shorts Skyvan 7Q-YMB was shot down allegedly by Mozambique government armed forces while on a domestic flight from Blantyre to Dwangwa in Nkhotakota via Lilongwe. The plane left Chileka International Airport at 7.56am and was scheduled to land at Kamuzu International Airport (KIA) at 8.56am. The reports add that the twin-engine aircraft was brought down while flying at low altitude over the Army barracks at Ulongue, Mozambique, about 20 kilometres from the Malawian border in Dedza. According to government documents, the plane had 10 passengers including three Britons and a South African. The other six, including the pilot and a stewardess, were Malawians. It is alleged that the 10 officials, who comprised senior servants and captains of the private sector, were flying to Dwangwa, Nkhotakota for a meeting on the consolidation of the Ethanol Company. In fact, the plane was chartered by Ethanol Company, according to our research. However, since their untimely death while on a mission of public good, there has never been open discussions regarding circumstances of their deaths and how government owned the tragedy, especially in reaching out to the bereaved families. Aaron Makhalira, whose father was deputy controller in the Department of Customs and Excise and one of the causalities told Nation on Sunday that he only remembers few senior government officials coming to their house to tell family that: “Your father died in a plane crash”. He was only 10 years old, then. “That is all we heard and since then, nothing; absolutely nothing. Later, we were invited to Henry Henderson Institute [HHI] Cemetery to attend a ceremonial burial of bodies we could hardly see. What were they burying?” wondered Aaron, one of the late Makhalira’s eight children. Most of the relations of the casualties refused to grant Nation on Sunday interviews, arguing they moved on, as such, they did not want to be dragged back to the “mental torment” they suffered. “As a family, we understood the silence during the Banda era. It was a dictatorship. However, after 1994, I was surprised that successive governments have chosen to bury the incident as insignificant. We are very surprised and our surprise is leading us to suspicions, but all the same we moved on,” she said. Nation on Sunday visited the grave of victims of the plane accident recently. It is unkempt, entirely invaded by forces of weeds and shrubs. In fact, it is visibly unmarked a potent symbol of a neglected history, a nation’s memory of innocent public servants who died on public duty. was one of the casualties says successive governments have failed not just the family, but the nation as a whole. “Malawians deserve to know what actually happened. There was/is need for official information from government detailing the circumstances of the tragedy. Government’s failure to do that is the reason behind the speculations and all these other conspiracy theories,” he said. trying to explain why the plane may have been shot out of the sky. Data sourced from online magazine https://takemon.wordpress.com/2014/05/20/they-shoot-airlinesdont-they/, which details flight accidents, connects the shooting down of the plane to South Africa’s apartheid differences with communist Union of Soviet Socialist Republics (USSR), today known as Russia. enemies, had brought down the aircraft to discredit the Soviet backed forces”. Apart from the website, Nation on Sunday has failed to corroborate and verify the information with other sources because the theory is barely supported by others who have written on the same. that the plane was shot down by Mozambicans. the plane were going and also why they were going there. “These were senior government officers and others from the private sector such as Malawi Distillers Limited [MDL]. They were going to Dwangwa to discuss the management of Ethanol Company,” he said, speculating that it may have been the fight over control of the company that could have led to the disaster. Makhalira added: “How come we never saw even a single body here? How come?” he said. However, reports from most of the international and local media, which have been corroborated with historians Professor Chijere-Chirwa and Desmond Dudwa Phiri (DD Phiri), dispute Makhalira’s theory. They argue that the plane was shot down by Mozambican forces because it had violated that country’s airspace. Several other media houses, even local ones, pursued that line of thought. 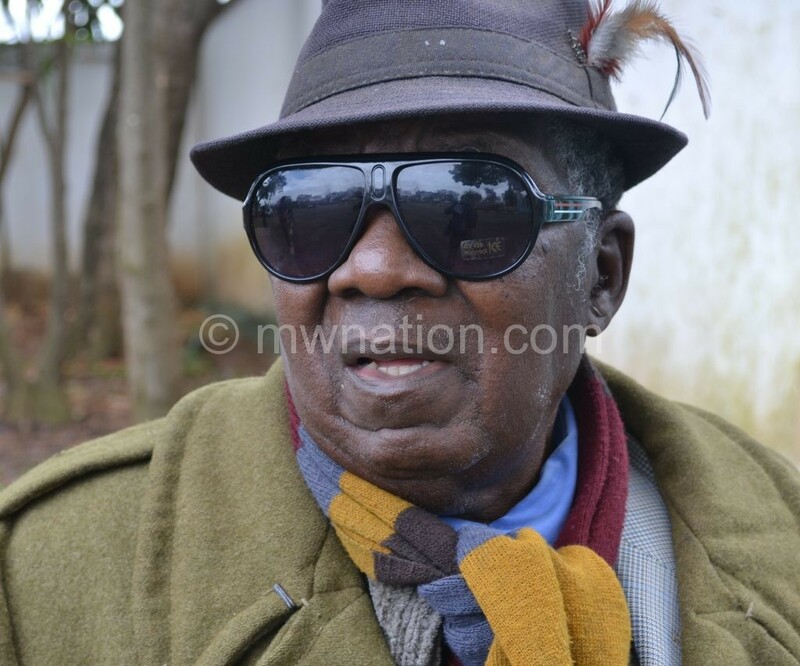 In an interview, DD Phiri said in the 1980s there was civil war in Mozambique between the ruling Frelimo (Front for Liberation of Mozambique) and the opposition Renamo (Mozambique Resistance Movement). “The plane was shot down by the Frelimo forces because they thought it was carrying weapons to arm the Renamo rebel forces. “That it why after they shot it down, they carried everything to Beira to examine if there was indeed the weapons. They found none,” he said. Phiri added that the shooting down of the plane had nothing to do with Kamuzu’s dictatorial regime. However, he noted that after the incident, there was tension in the country regarding relations between Malawi and Mozambique. “Senior officials from the UK and South Africa visited Malawi regularly trying to calm Dr Banda down over the incident. He was very angry with Mozambique. We could have been drawn into a dangerous war with Mozambique,”he said. Professor Chijere-Chirwa agreed with Phiri, saying the shooting of the Malawi plane was, arguably, due to the civil war in Mozambique. “I think there was great suspicion over the plane. 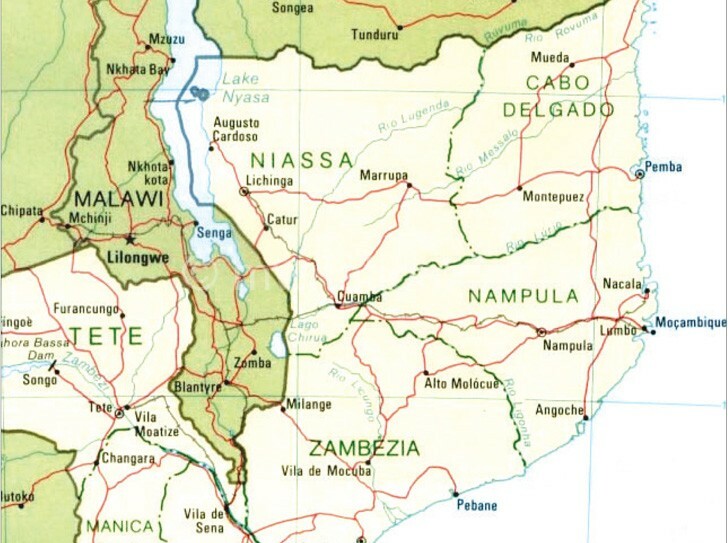 The route Malawi takes when going to Lilongwe passes through Mozambique and it makes sense that the Frelimo guys were suspicious of the plane,” he said. The plane was shot down barely a year after the then Mozambique president Samorah Machel, also leader of Frelimo who was in war with opposition Renamo, was killed in a plane crash. DD Phiri said there was a feeling among Mozambicans then, wrong though, that Malawi had a hand in that plane crash. “That feeling made their government to become too suspicious of Malawi,” he said. In fact, the immediate response from the Mozambique government after the shooting down of the Air Malawi plane, somehow, vindicates DD Phiri. “I regret that the plane was shot down. But several violations of the airspace in the areas had been reported and forces had been tense. The forces [who shot Air Malawi plane down] had no information it was a normal flight,” he said. However, 1987 Air Malawi documents Nation on Sunday has seen show that the route which the plane used is Airway 406, which has been used by Air Malawi and other operators for scheduled and chartered domestic flights since the formation of the company. A veteran senior government official, then working in the Office of the President and Cabinet (OPC), told Nation on Sunday on condition of anonymity that “there was deep tense” between Malawi and Mozambique governments. “Dr Banda felt he was being deliberately provoked by Mozambique. However, he never lost his cool,” he said. A week after Chissano’s statement, Mozambique Ambassador to Malawi, Amos Mahanjane, moved in quickly to relay a message of reconciliation. Surprisingly, media reports sampled reveal a deafening silence from Malawi government’s reactions to the incident. Dalton Katopola, was sent to Mozambique to investigate the incident. Mozambique granted the permission. The delegation, however, returned with a conclusion that the plane had, indeed, been shot down by Mozambique government agents. After that, government organised a burial ceremony and a day of prayers for the bereaved and the deceased. Neither of these was attended by then leader, Kamuzu Banda. Aaron Makhalira does not mince words regarding issues of compensation after the death of their breadwinner. government, we got a report from government that they have found a new home for us because the one we were staying in was expensive for government to be paying rentals. (Chilobwe) where we stay until today. I see our earlier house everyday and it now belongs to a very powerful politician,” alleged Makhalira without divulging details of the said politician. only said: “We could have done better”. “You know, understand that this was during a time when everything was kept secret. DD Phiri notes that the 10 were innocent civil servants who died on duty because of conflicts they had nothing to do with. He argues that government, at least, should have honoured their grave as part of preserving history. Professor Chijere-Chirwa agrees, but submits that government, in the first place, needs to find out from Mozambique what really happened for the plane to be shot. “In bringing the healing process, there is need for a high-level diplomatic discussion as to what happened. Then the nation should be told about the nitty-gritty of the incident,” he said. Beyond, Chijere- Chirwa agrees that there is need to preserve that history by taking care of the victims’ grave. I remember the day, because I and a friend were speed to be picked up on this flight from Lilongwe to Dwangwa. The plane was carrying officials who were going to a site visit at Dwangwa, where the ethanol plant would be erected. The site visit was proposed after a series of meeting at Shire Highlands hotel, which were headed by Mr. John Tembo. In fact, Mr. Tembo was dosed to be on board, but he changed his mind and drove to Dwangwa instead.The only other people who did not make the flight were 2 young economists from EPD, who had gone back to Lilongwe to compile more information on the project, and it was planned to pick them up at KIA. I was one of them. In 2012 on a business visit to Tete, Mozambique, I met one of the men who fired on this plane. He was an ex Frelimo soldier. He told me that, when the plane was passing through Villa Ulongwe, they got instruction to fire on the plane which they suspected was a spy plane. They followed all procedure to contact the plane, which was nut responding to radio contact. So they fired.